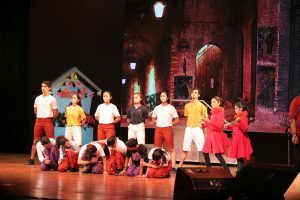 The fluid and interesting storyline of the players talked about a group of Bohemians who struggled their way to build up an environment where people can exchange their thoughts freely, play live music and start new fashion trends in the era of uniformity. 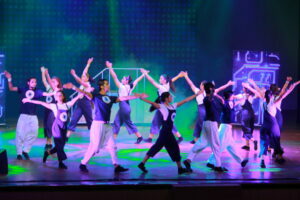 It was a skillfully plotted musical act which showed the transformation of the real world into a virtual world brilliantly. It conveyed that people are currently living in a world where everyone is the same- they think the same, act the same and dress the same. The rock music based musical act with songs from Freddie Mercury in his signature four-octave vocal range was a true bliss for spectators. 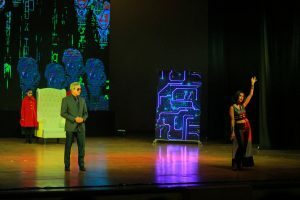 The colorful performance directed by the brilliant director Ritu Rae Chandra was especially targeted for music lovers as an ode to the British rock band ‘Queen’. The event was a visual spectacle to everyone present in the audience and it left them spell bounded, wanting for more. CAPED – Cancer Awareness, Prevention and Early Detection Trust have chosen the cause of women-related cancers with a focus on cervical cancer. Our mission is to identify and create different areas to spread awareness and knowledge among women and empower them to take action regarding their own health.